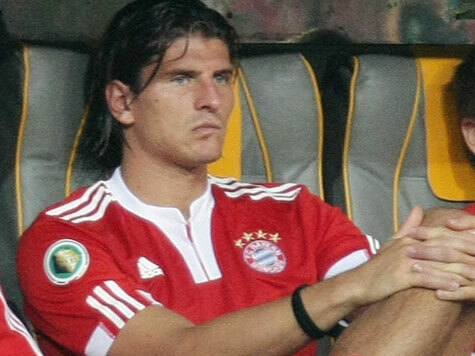 Monday Afternoon Man: Mario Gomez! Today’s Morning Man is coming to you so late in the day that he is an Afternoon Man. But whatever time of day he’s here, he is pretty dreamy don’t you think? 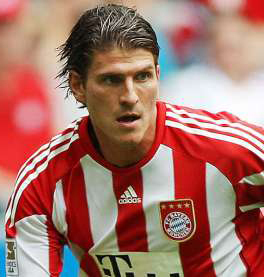 He’s German soccer star Mario Gomez, a striker for Bayern Munich. The 26-year-old athlete not only has amazing skills and handsome looks, he also made news a few years back for urging gay players to come out and calling for a radical rethinking about homosexuality in the sport. He told UK’s The Guardian that gay players would have an improved performance if they were out.